in Jeff Nichols LOVING, a Focus Features release. Mildred Jeter and Richard Loving grew up in the rural unincorporated town of Central Point, Virginia. They met in high school, spent time together, and eventually, when Mildred became pregnant, decided to marry. But this was the 1950’s and Mildred was African American and Richard was white. Virginia had anti-miscegenation laws which made their marriage illegal. 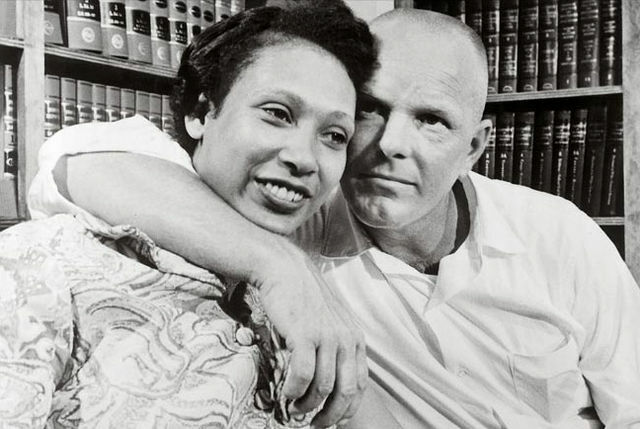 How did these two young people get beyond Jim Crow and fall in love? Well that had a lot to with Central Point VA.
Central Point was and is still a very rural area. At a distance of about 90 miles south east from Washington DC it was community with a history of poor farmers, black and white, ignoring the rules of segregation, living together. According to a 2012 article in the Washington Post, Central Point and Caroline County has had a long history of people of all races forming family units. Today many people say they “don’t see color,” but I have always felt that is a cop out that allows people to hide their racism. Richard and Mildred saw beyond color. They understood the reality of the world of segregation that they lived in, but they saw beyond those laws. By growing up in an integrated community they were able to see beyond the social construct of race to reality of their love. On Friday Nov 4th, Loving will open in theaters across the country. Writer/Director Jeff Nichols’ wonderful tribute to Richard and Mildred Loving is a powerful presentation of their love and strength. Like his subjects, this movie lives in the silences between the things that are said and left unsaid. This was a couple very much in love, and who wanted to live their lives in peace and quiet. They were not activists looking to change the world. Mr. Nichols uses silence like a sword. Whereas another director might have a character give a rousing speech about segregation and fighting racism, Mr. Nichols trusts his audience to know history. Watching this excellent movie, it is clear that Mr. Nichols understands that viewers can read thoughts and feelings without dialog. It helps that he has cast two excellent actors in the lead roles. Ruth Negga’s portrayal of Mildred Loving embodies Mildred’s dignity and her determination to live a better life. Ms. Negga has been acting for several years in Ireland and England, and recently has had roles on ABC’s Agents of S.H.E.I.L.D. and now in AMC’s Preacher. Ms. Negga plays Mildred as a pillar of strength, who both holds her family together and is the impetus behind filing the court case that ended the anti-miscegenation laws and opened the doors that have led today to marriage equality for all. To play Richard Loving, Jeff Nichols selected Joel Edgarton. Born in New South Wales, Mr. Edgarton has a lengthy resume, including Star Wars Episode II and Star Wars Episode III, The Great Gatsby, and Exodus – Gods and Kings. Mr. Edgarton imbues the role of Richard Loving a palpable tension. Mr. Loving wants to raise his family in peace and to protect his wife and children but he doesn’t want to rock the boat. Mr. Nichols brings out all of these emotions without having the long declarations that outside of hands of a writer like Shakespeare, often feel forced. Instead he lets his actors live in the situations. The Lovings were quiet people who wanted to live quiet lives. Mr. Nichols has brought them out from history to speak loudly on issues that are as important and timely today as they were fifty years ago. And he did it by trusting his actors to deliver their feelings without long speeches. And he trusts his audience to follow him and his wonderful actors through this journey.